How can the same runway have two different gradients? In an unrelated answer rbp linked to this Atlanta airport info page, and runway 8R/26L caught my eye. If I understand correctly, these two runways are the same piece of pavement, but refer to the use of the runway in opposite directions. According to that page, 8R has a gradient of "1.0% DOWN," but 26L has a gradient of "0.4% DOWN." It seems like a physical impossibility - if one is sloped down, the other must sloped up, right? So what am I missing? The slope of a runway isn't always constant. In some cases, for example, if you stand at one end of the runway, you can't see the opposite end, because the runway goes up then down. The runway slope has a greater influence when the aircraft has a greater speed. Therefore, the slope at the end of the runway is given a greater weight. In the case that you mention, if you walk from the west side of the runway to the east side of the runway, you will go up a little, then down, and end up at a lower altitude than when you started. Not the answer you're looking for? 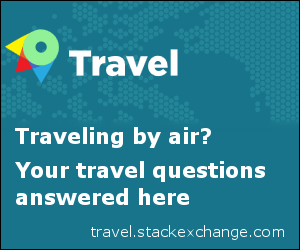 Browse other questions tagged airport runways or ask your own question. When is runway slope most important? Can two airports have a different ICAO code but share the same IATA code? How is the runway pavement chosen? More than one runway with the same heading. How are they labelled? How are runway conditions measured? Are ICAO and FAA airport signs and markings the same? What is the purpose of Runway Grooving? How can the runway allocation process be optimised? How does a runway inspection radar work? What do different runway depictions mean in the Chart Supplement? Is it possible for one runway to have a different TORA in each direction?